Everything old is new again. The 14th season of the Top Chef TV show premieres on Bravo, Thursday, December 1, 2016 from 10:00pm to 11:15pm ET/PT. Head judge Tom Colicchio will assess the competing chefs with Gail Simmons, and new judge Graham Elliot, a veteran of Top Chef Masters. 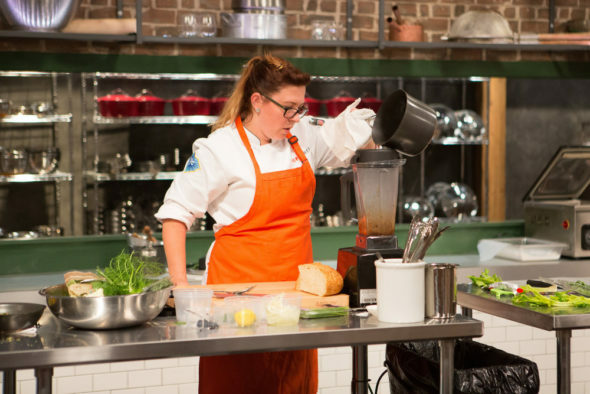 Top Chef season 14 is set in Charleston, South Carolina. 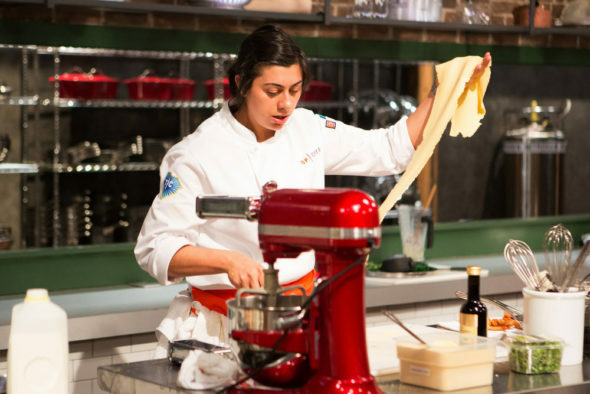 Eight new chefs will face off against eight previous competitors who have never won the title. Padma Lakshmi hosts. 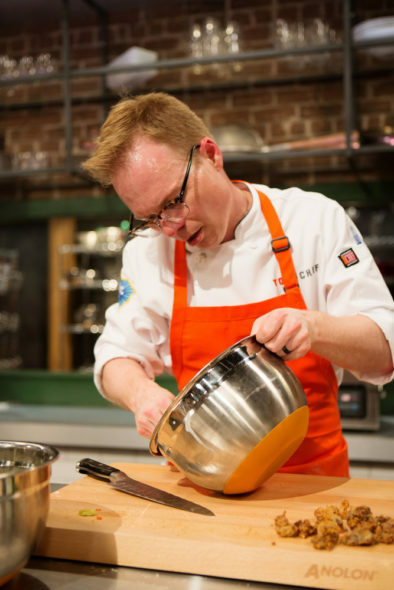 Throughout season 14, the chefs will cook for culinary stars and celebrity guest judges including: Daniel Humm, William Guidara, Jeremiah Tower, Dominique Ansel, Sean Brock, Frank Lee, Richard Blais, Chris Cosentino, Michael Voltaggio, Hugh Acheson, BJ Dennis, Carrie Morey, Nilou Motammed, Mike Lata, John Currence, Alexander Smalls, Michael Cimarusti, and Michael Solomonov. Meet the new chefs, after the jump. 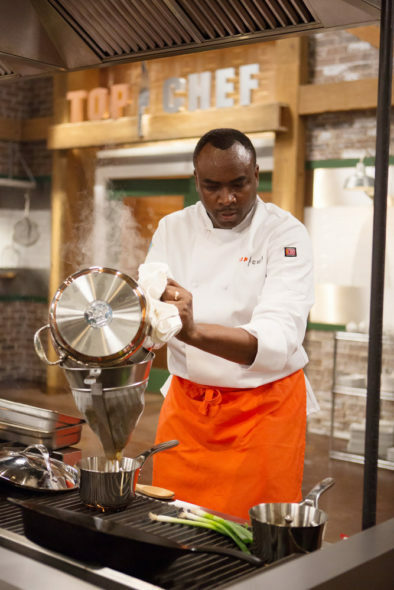 Bravo will dish out clues about the returnees’ identities on Top Chef’s Facebook and Instagram over the next week. Check out the new Cheftestants, and don’t miss the link to the sneak peek, in this Bravo press release. NEW YORK, NY – October 13, 2016 – Bravo Media’s Emmy and James Beard Award-winning “Top Chef” takes on the culinary hotspot of Charleston, South Carolina, for the new season, kicking off with a supersized premiere on Thursday, December 1 at 10 – 11:15pm ET/PT. In an unparalleled twist, eight acclaimed chefs from across the country will unpack their knives alongside eight chefs from seasons past, who have never won the prestigious title and are back for redemption. 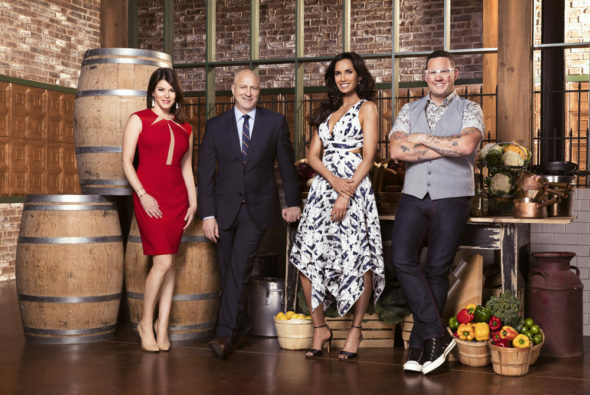 Sitting at the judges table for season 14 are host Padma Lakshmi, head judge Tom Colicchio, and Gail Simmons who are joined by new judge and Top Chef Masters” alum, Graham Elliot. 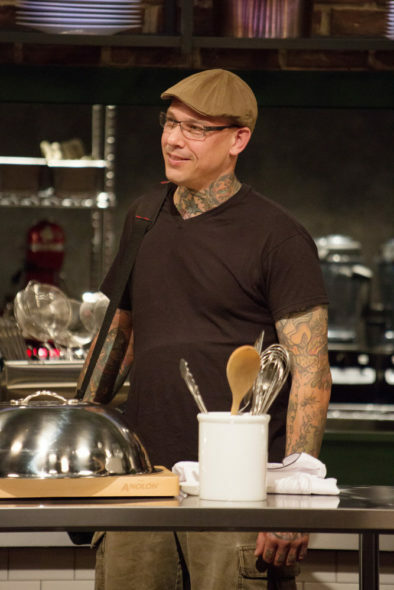 For a sneak peek, please visit: http://www.bravotv.com/top-chef/season-14/videos/introducing-top-chef-season-14s-rookie-chefs. 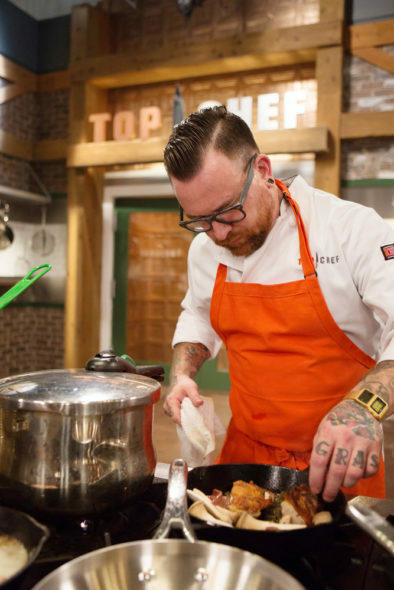 From fan favorites to finalists who have been close enough to taste it, Bravo will be serving up clues on Top Chef’s Facebook and Instagram over the next week on the identities of the returning Cheftestants. Fans and foodies alike can join in the #TopChef social conversation to get exclusive hints about who will be returning to the kitchen. This season is the ultimate challenge of old blood versus new when 16 talented cheftestants descend upon the city of Charleston to battle it out for $125,000 furnished by S.Pellegrino® Sparkling Natural Mineral Water, a feature in FOOD & WINE magazine, a showcase at the annual FOOD & WINE Classic in Aspen and the coveted title of “Top Chef.” Along with the return of the daunting Sudden Death Quickfire, high-stakes challenges include cooking for BBQ king Rodney Scott to the tunes of country music artist, Darius Rucker, a tribute honoring Edna Lewis and a holiday-themed Feast of Seven Fishes dinner. Always upping the ante, one landmark challenge calls for the contestants to cook for a room full of culinary greats in hopes of landing the highly lauded prize of serving their winning dish at the coveted James Beard House in New York City. 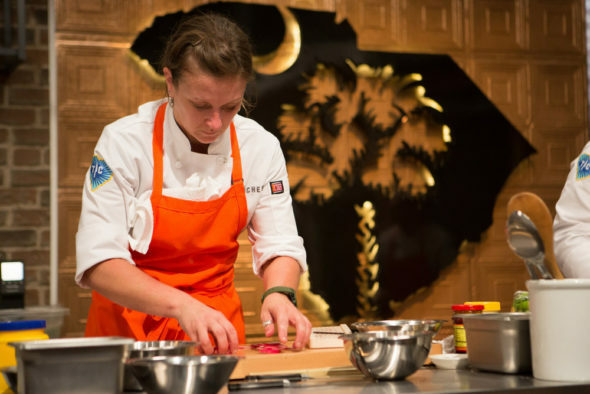 From a shrimp and grits cook off to a biscuit blowout, the chefs dive deep into the roots of Lowcountry cuisine to prove to the judges, the world, and themselves that they have what it takes to conquer their competition. Throughout the competition, the chefs serve up food for culinary stars and celebrity guest judges including: Daniel Humm, William Guidara, Jeremiah Tower, Dominique Ansel, Sean Brock, Frank Lee, Richard Blais, Chris Cosentino, Michael Voltaggio, Hugh Acheson, BJ Dennis, Carrie Morey, Nilou Motammed, Mike Lata, John Currence, Alexander Smalls, Michael Cimarusti and Michael Solomonov. What do you think? 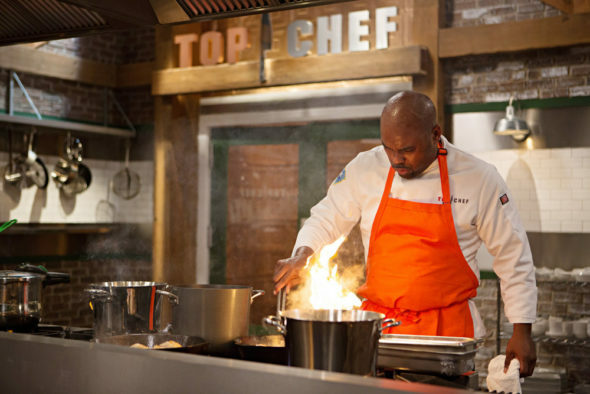 Are you a fan of Bravo’s Top Chef TV series? Do you plan to watch the 14th season on Bravo? Let us know, below.